In preparation for their upcoming exhibition The Museum of Non Participation: The New Deal, London-based artists Karen Mirza and Brad Butler made a site visit to the Walker last week. In the Twin Cities for a mere four days, their schedule was packed with meetings with Walker departments as well as time spent getting to know members of the local community. 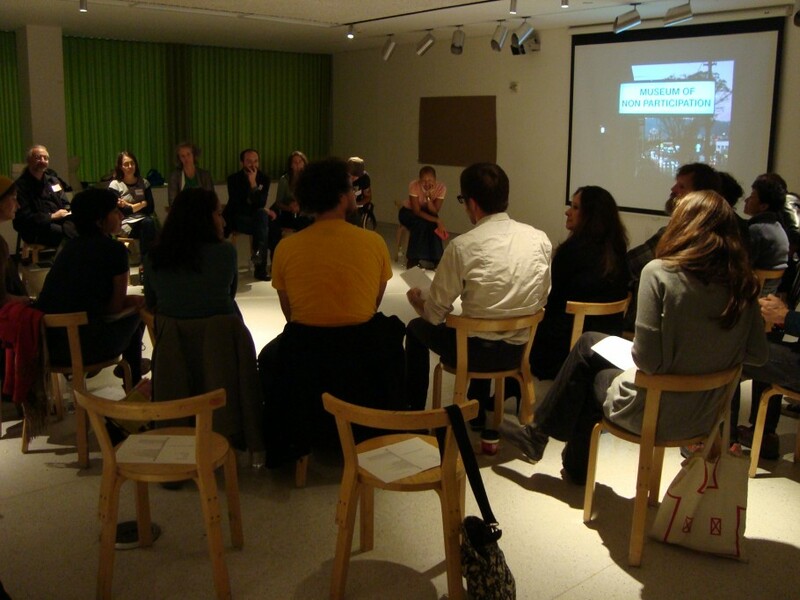 Having made a trip earlier in the year, this was an opportunity to build on percolating ideas and conduct research as well as talk through the pragmatics of installation, interpretation, and creating publics around the exhibition. Karen and Brad in conversation with the Walker’s associate director of Public and Interpretive Programs, Susy Bielak (not pictured), in the Walker’s Medtronic Gallery. 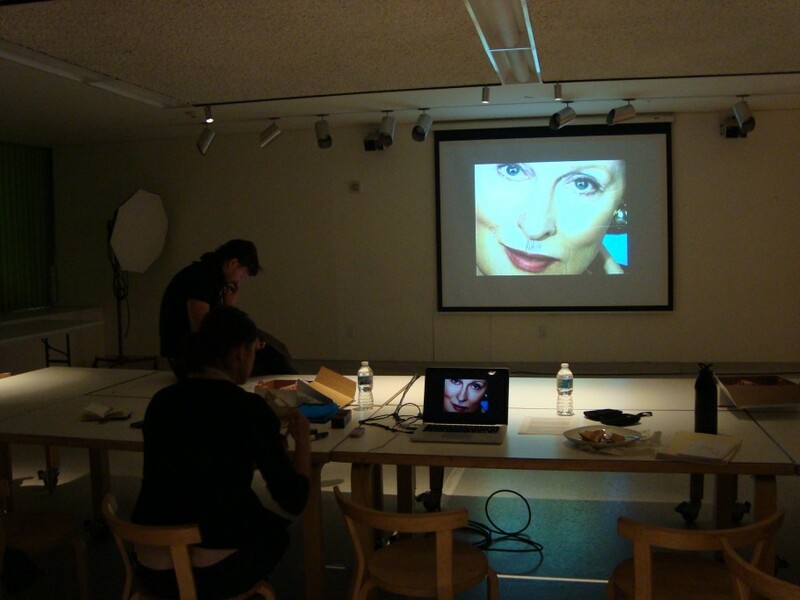 The duo prepares to give a presentation to Walker staffers under the watchful gaze of Meryl Streep’s Thatcher. The image comes from their new film Deep State, which premieres at the 2012 Liverpool Biennial tomorrow. 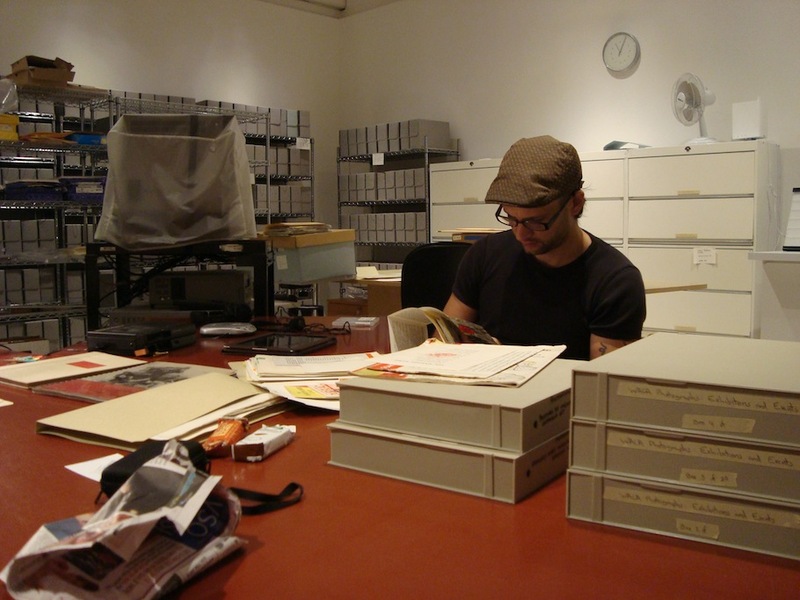 A morning spent in the Walker archives unearths a treasure trove of materials from the Walker’s past, including documents from the WPA and Second World War era. Given their exhibition bears the title The New Deal, the legacy of the economic and social policies of this period and its relationship to art and cultural practice are integral to the show. Down in the collection storage area looking at a works from the Walker’s permanent collection, the artists are developing a new piece that will draw inspiration from the Walker’s contemporary holdings. 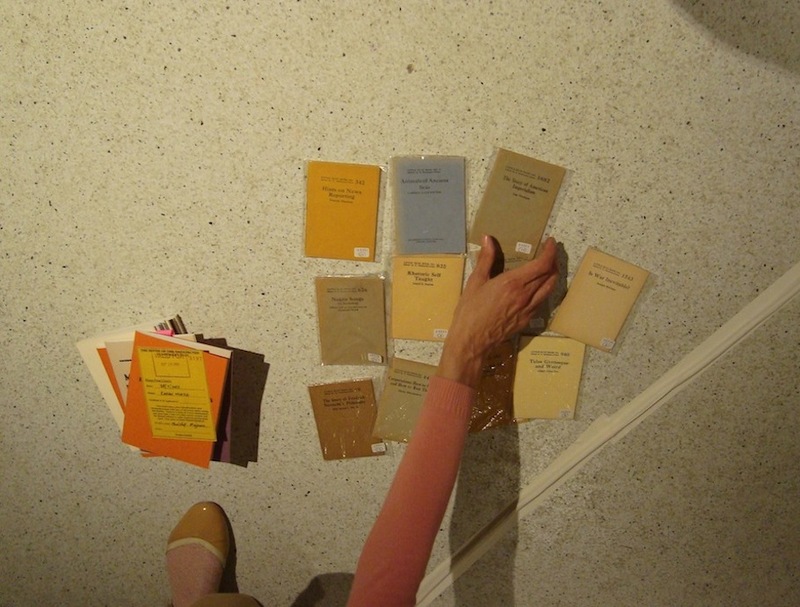 An avid fan of printed matter, Karen shows off her recently acquired collection of miniature pamphlets produced in the 1930s by a radical American socialist and rampant publisher. These items provided much food for thought during discussions with the Walker’s design team, who, like Karen, have a penchant for historical publications. 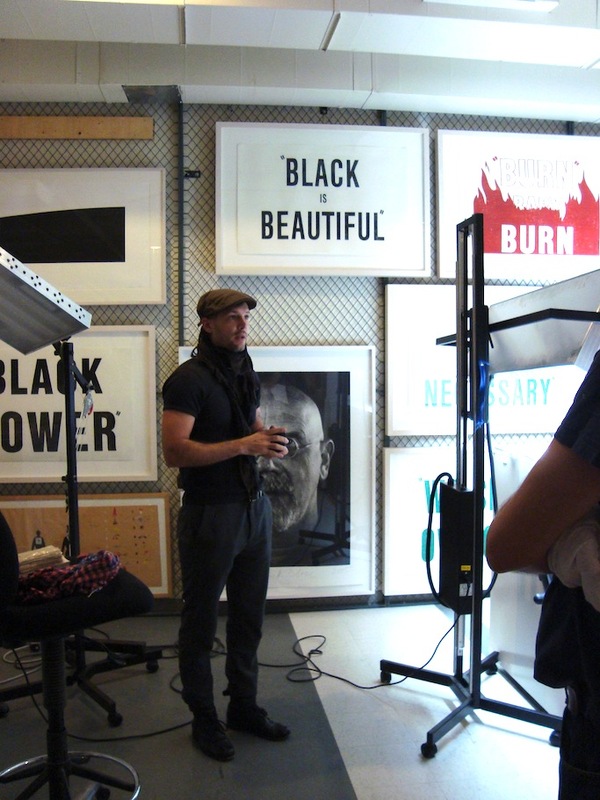 Rounding up the trip, the pair spent an evening with members of the Minneapolis-St. Paul community, a group that spanned the worlds of art practice, filmmaking, activism, legal advocacy, politics, and academia. The group gathered to hear more about the Mirza and Butler’s practice as well as share thoughts, ideas, and critical commentary on plans for the exhibition.